Where modernity and history come together in a perfect Milan hotel view. Mrs. Giambelli, architect and owner of Palazzo Parigi Hotel & Grand Spa, describes in detail the breathtaking views awaiting you on your next visit to Milan. What makes Palazzo Parigi Hotel & Grand Spa view so perfect? 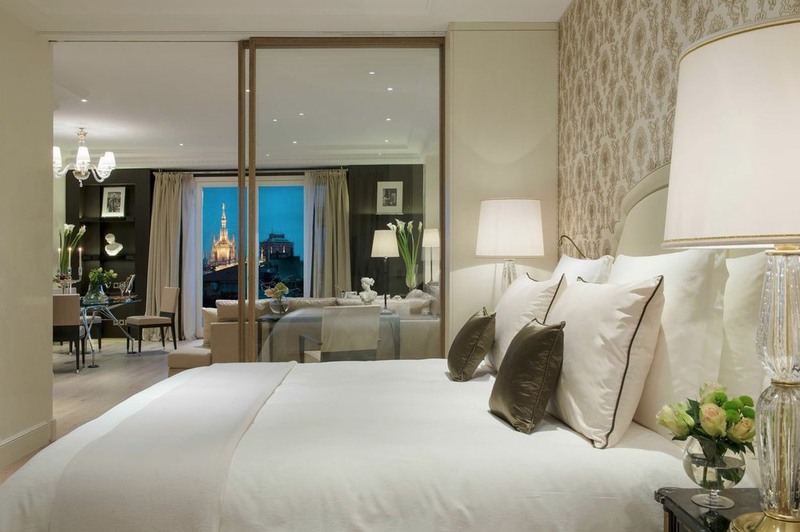 Exceptionally for a hotel set right in the heart of the city, Palazzo Parigi stands alone, with no other buildings. Rooms and suites are positioned from 4th floor upwards, therefore our guests can enjoy a lovely view from their balcony or terrace, either overlooking our private garden or the nearby streets of the fabulous Brera area. Moreover, because Palazzo Parigi towers above the rest of the surrounding buildings, from the upper floors guests can also enjoy a much awaited uninterrupted view on the historic city centre or the new skyline of Porta Nuova depending on which side the room is located. Spring days are definitely the best to enjoy the panorama that opens up from the city skyline towards the snowy tops of the mountains in the backdrop. But night views are also very special, with the whole city light up below, including iconic spots like the Duomo, the Galleria Vittorio Emanuele, La Scala theatre and the Castello Sforzesco on the historic side or the new futuristic skyscrapers on Porta Nuova side. Since all our rooms and suites boast either a balcony or a terrace, I would suggest our guests to experience at least one in room breakfast or candle lit dinner, to enjoy the panorama with no hurry and to admire the city life from an unexpected point of view. Our brand new Presidential Suite, located at the 8th floor, offers for sure the most beautiful view of Milan from above. Its 110 sqm terrace overlooks the San Marco church and faces the Duomo including amazing panoramas of the Castello Sforzesco towards the San Siro area. We are currently working at its twin Presidential Suite, positioned at the 8th floor as well but overlooking the new area of Porta Nuova and its iconic skyscrapers. Once it will be ready, our guests will be able to choose which side of Milan they would prefer to wake up in: the historic or the modern one. Describe Palazzo Parigi Hotel & Grand Spa view in a single word. 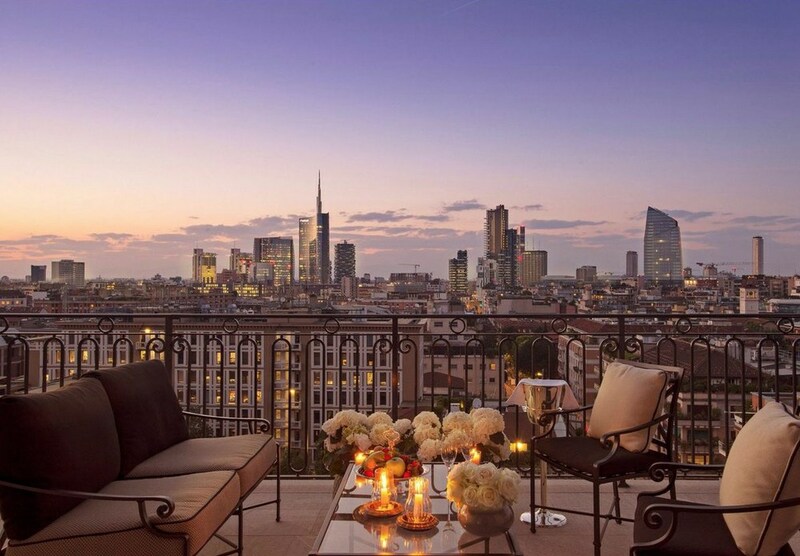 A hotel view for your next stay in Milan. 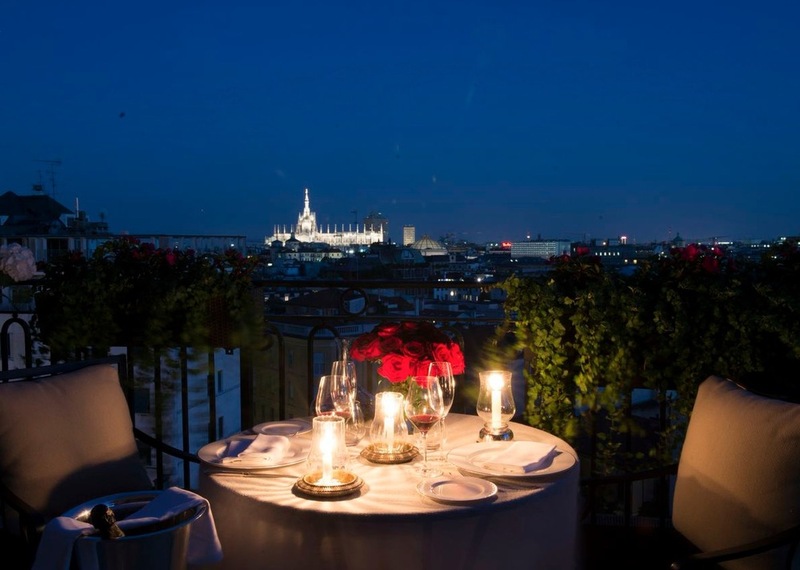 Best hotels with views over Milan's Duomo.